I love chocolate covered almonds, so these candy carrots are right up my alley! They make super cute cupcake toppers for Easter or you could just spread them around the kids table to keep the little ones happy at Easter brunch. 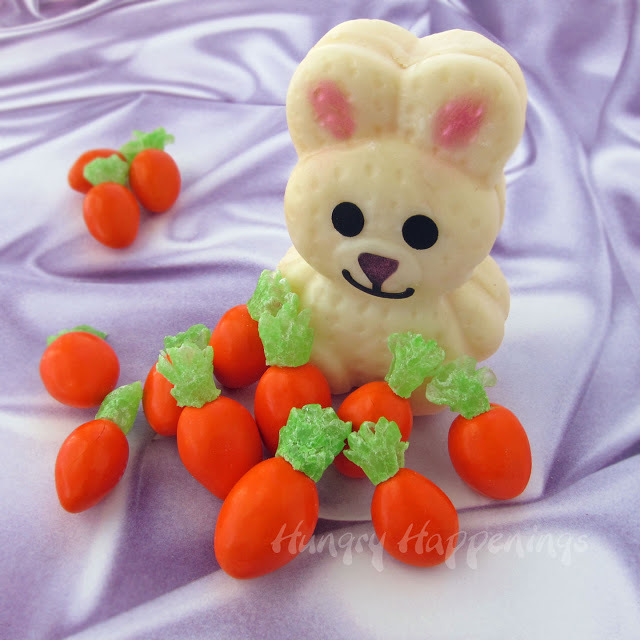 Check out how to make these chocolate almond candy carrots over at Hungry Happenings.